Perched atop beautiful Moffat Headland, overlooking the Pacific Ocean and coast line north to Point Cartwright, you'll discover your perfect holiday destination. 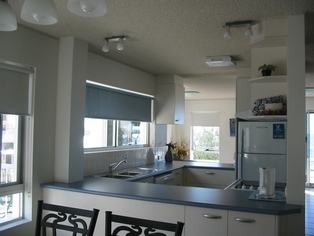 Estoril on Moffat offers spacious 2 bedroom self contained partments with two balconies. You'll find a fully equipped kitchen complete with dishwasher, separate laundry, washing machine and dryer, a lounge area with Cable TV and DVD or VHS, and STD/ISD telephone. Designed with comfort in mind the apartments have plenty of space to spread ut and unwind while overlooking the pool and spa. Undercover security parking also provides an extra peace of mind. Please Note This property has only stair access and no eleveator facilities. 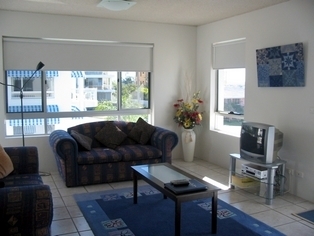 Minimum 3 night stay, two bedroom fully self contained apartment, accommodates 4 persons. 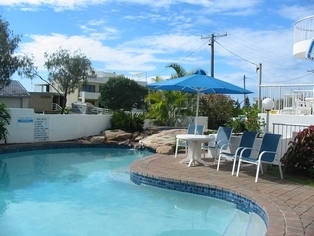 Heated Pool, spa, sauna, games room, free Cable TV - 300 metres from Moffat Beach and the best alfresco dining in the area. 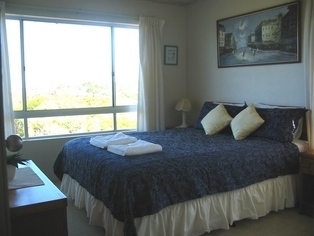 Minimum 5 night stay, two bedroom fully self contained apartment, accommodates 4 persons. 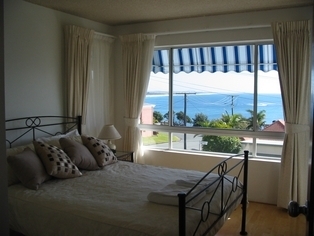 Heated Pool, spa, sauna, games room, free Cable TV - 300 metres from Moffat Beach and the best alfresco dining in the area. 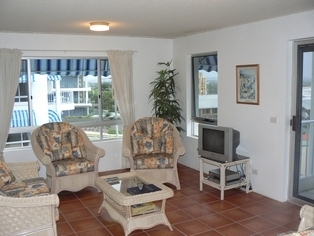 STD/ISD/Internet access is available in all apartments. Facsimile services are available at reception. Check in time is from 2 pm and check out is 10.00 a.m. Guests should contact reception during office hours and advise if check in will be after 6.00 pm Monday - Friday or 2 pm Saturday - Sunday. Contact details will be on your confirmation email. Early check in maybe available. Call the Manager to arrange. Rates are per Unit for 4 guests. Normal bedding is one queen sized bed in one bedroom and two single beds in the 2nd bedroom. Extra guests can be accomodated in some units using bunks at a cost of $15.00 per night, capped at $50.00 per week, dependant on unit bedding configuration. Cots are available for hire at $20.00 plus GST per week. Undercover security parking - one car space per unit. 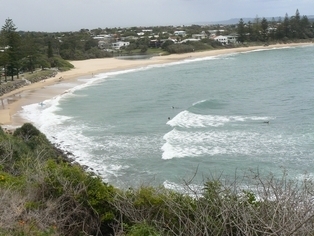 90 klms or 1 hour drive north of Brisbane, take the turn off to Caloundra. Turn left at Stockland Shopping Centre, turn right at next round-about. Turn left at Maltman Street and right at next traffic lights (Roderick St). Proceed through and left into Moffat St. Left at the round-about then right into McIlwraith St. Door to door shuttle bus services are available from both Brisbane Airport (90 km) or Sunshine Coast Airport (40 km). UBD Reference Map 100 P 10/11. All local attractions are within 20 minutes drive Australia Zoo, Aussie World, Underwater World, Big Kart Track, Deep Sea Fishing Charters, Golf, Horse Racing, Market Days and the list goes on.............Courtesy buses can pick you up and bring you home from Clubs. Tours and transfers can be organised by our staff at reception, where a full display rack of things to do and see will keep you busy.